If you've been following my sporadically updated blog, you would've noticed that I subscribe to the magazine, Kinfolk. This flower pot luck, was inspired by the original Kinfolk flower potluck hosted by Amy Merrick (who happens to be one of my most favourite florists). The idea of a flower potluck is for all invited to bring along some flowers & foliage, and a plate of food to share. Everyone makes an arrangement and then digs into the food! For this flower potluck my friend Jialing and I hosted, we put a twist on the rules to suit both the venue and the people invited. I bought the flowers & foliage for everyone beforehand and brought it over to Food For Thought at the Singapore Botanical Gardens (made possible by Huiyi Lee - thank you!) After we all had dinner and had a chance to get to know each other, we started making our floral arrangements. I provided some guidance around how to make hand-held bouquets, floral arrangements and floral crowns. 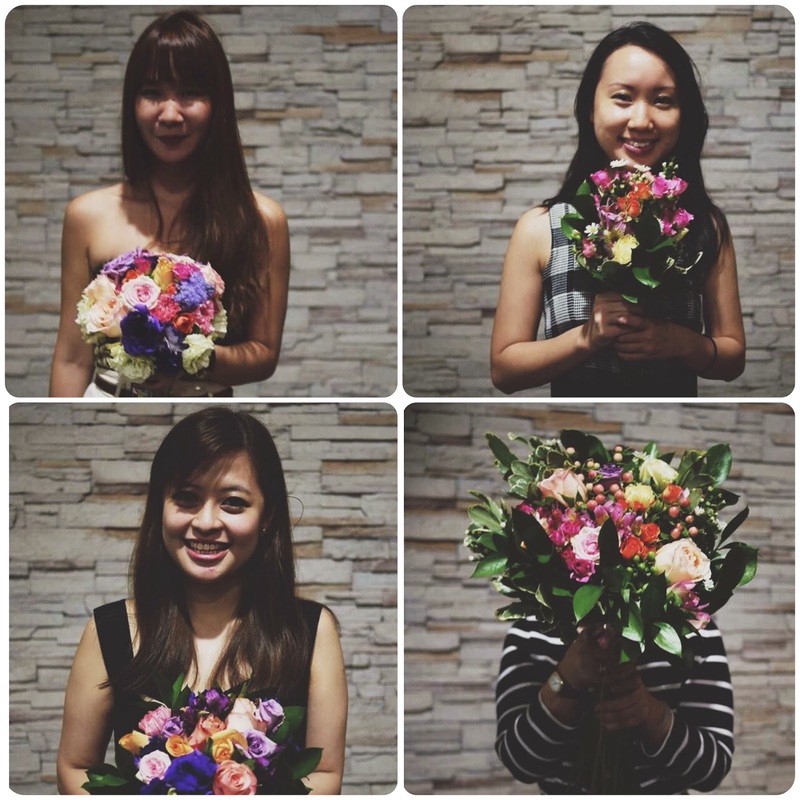 The event was a huge success and everyone were such naturals at arranging flowers (and super friendly)! Here you can see their beautiful creations, which show off their unique personalities and styles. It was so much fun to organise and teach, I can't wait to host one again soon! Jialing for co-hosting this event with me, adding a more polished touch to the whole event. Huiyi for helping us secure the venue, and for all the photographs in this blog post. My mum & May-anne for driving me around. All the wonderful people who came along with open hearts and eager hands!